An overview of how Banting works and valuable information for new banters, you cannot get to your destination if you do not know the plan!!! 1. This is not a “diet” on which you go on and come off after weightloss. It’s not a quick fix diet. Eating the ‘Banting’ way which means a Low Carb High Fat diet is a lifestyle. It becomes the new normal way of eating for you. 2. Banting is not for everyone. If you are not carbohydrate intolerant, you probably won’t lose weight. If you have always been lean and metabolised carbohydrates well, you may not benefit from changing to LCHF. 3. One of the signs of being carbohydrate intolerant include getting drowsy after eating food containing carbs or sugar – usually about 2 hours after eating. Most times this occurs after lunch – in the middle of the afternoon. 4. If you are sensitive to carbohydrates, you will most probably gain weight around your waist and not your hips and thighs. 5. If your weight goes up and down a lot, you most probably will benefit from changing your diet to a LCHF way of life. 6. Carbohydrates are addictive, so if you are carb intolerant you will find yourself reaching for them more and more, even though you are no longer hungry. 7. If you are a habitual snacker or emotional eater, you probably are sensitive to carbs and should follow the Banting way. 8. If obesity and weight gain around the waist run is something that your parents or grandparents struggled with, you most probably will struggle with it too. A lifestyle of low carbs will benefit you. 9. What’s your favourite food? If the answer is cake or carbs, you most probably are addicted and could be carbohydrate intolerant. 10. If there is diabetes in your family, you are at high risk for being insulin resistant and need to cut back on sugar and starch. 11. Premenstrual tension improves when you cut out carbs and sugar. 12. Starting the day by drinking two glasses of water on an empty stomach can help in weight loss and helps prevent constipation. 13. Eating a LCHF diet is not permission to eat as much as you want. You still need to employ some calorie counting, appetite control. 14. Before eating, think about exactly how you are feeling. The process of eating actually starts in the mind. Ask yourself if you are hungry, thirsty, bored, emotional. Eat when you when you are hungry – stop when you are full. 15. The core principle of Banting is eating real food. These foods are foods that satisfy and they are the ones you want to focus on. 16. Probably, the most beneficial food to add to your diet is one that contains all the nutrients, enzymes and protein to create a living creature – that’s a simple chicken egg. It’s a power packed high protein food bomb designed to enhance your health. 17. Eating foods that are high in protein and fat are the answer to hunger satisfaction. 18. When you fill up on carbohydrates such as bread, cereal and refined sugar laden pastries, you may feel full but that soon wears off and you can find yourself snacking all – day – long. 19. Make sure you start your day with high protein and high fat foods. These include eggs, bacon, sausage, berries, full cream, double thick natural Greek yoghurt, avocado. 20. Leave off the menu overt carbs such as rice, potatoes, pasta & bread. 21. Replace sweet dessert with strawberries and cream. 22. One of the biggest challenges to controlling appetite is food cupboards & fridges stocked with tempting treats, guaranteed to ambush any attempt at resistance. If it’s there, you will eat it. 23. Get rid of the high carb, high sugar items in your home – biscuits, rusks, ice cream, sweets, cake, chocolate bars. Don’t buy the stuff in the first place. 24. Don’t go shopping when you are hungry – that also leads to temptation of buying a quick snack to curb your hunger pangs. 25. Replace the carbs in your home with options you can eat – salad ingredients, cheese, olives, raw nuts, biltong sticks, berries, cream. 26. Continually be aware that you must eat when you are hungry, and not when you are bored, stressed, thirsty or tired. 27. Keep Occupied. If you are busy with a project that takes up time, energy and interest, you’ll find food suddenly takes a secondary place in your life. 28. Instead of constantly thinking about food, you’ll start thinking about something else. Find your passion and start working on it. It may be people, or music, or writing or it may even be food! 29. If food is your passion, start researching the healthy foods that will enhance your life and not make you sluggish. 30. If you find yourself bored and needing something to do to prevent yourself from eating for the sake of having nothing else to do, go for a walk, do a puzzle, read a book, visit a friend. 31. Stay Hydrated. Replace fizzy drinks & alcohol with water. You don’t need to drink soda to be refreshed. 32. Carry a bottle of water with you and drink to thirst. If you have water handy, you won’t be tempted to eat if it’s fluid you need. Some say to drink a glass of water before eating also helps prevent overeating at a meal. 33. If you are carbohydrate intolerant, make sure you also cut back on fruit, as it is a primary source of sugar. Limit yourself to one serving a day, preferably strawberries. 34. Fish is a great Banting food and it suits non-Banters too. Tuna, salmon, hake, haddock, yellowtail, sardines – all great protein foods that will satisfy you and keep your blood sugar levels stable. 35. Avoid: bread, potatoes, rice, pasta, cous cous – no overt carbs at all eg cake, pizza, rusks, muffins, etc! No peanuts. 36. There are nuts you can eat: macadamia, almonds, cashew (avoid salted and roasted), pumpkin seeds, sunflower seeds, sesame seeds, flaxseed soil (Prof Tim says it really helps with raised blood pressure). 37. All vegetables grown above the ground are Banting friendly, specially leafy greens, like spinach, broccoli, cauliflower and cabbage. 38. Gem squash, baby marrows are good as well as lots of salad laden with lettuce, cherry tomatoes, red pepper, carrots, mushrooms. 39. When it comes to dairy, aim for high fat products. Full cream (double if you like) Greek (unsweetened, unflavoured) yoghurt. Once you are off sugar, you will love it. Cream! I put cream on my breakfast and in my coffee. It’s great. Full cream milk. Cheese, Eggs. Butter (ditch margarine – more about that later). 40. However, too much dairy may hinder weight loss, so find a balance with how much you eat. 41. LCHF eating has got to become a way of life. By eating LCHF, you may find you lose weight quickly, which if you need to, is great, but for your health, you should view it as a marathon and not a sprint. 42. Some people are thrilled at the idea that they can have seemingly unlimited fat, but don’t be misled by what that means. To start with, it doesn’t mean you can eat anything that you think is ‘fattening.’ Cake is fattening. You have to learn the difference between fat and carbohydrates. 43. Carbohydrates (including sugar) are found in almost everything we eat. They are there in differing amounts. Some are high in carbs – others low. Learn to read the labels on the food you buy. 44. Most ‘health’ products that come in tins for making up of meal substitute ‘shakes’ are high in carbohydrate. 45. Most weight loss programmes that include “low fat” anything, are high in carbohydrate. 46. All ‘low fat’ products in the store fridges or on the shelves are high in carbohydrate. Avoid them! 47. Carbohydrate makes you fat! Fat doesn’t. 48. The basic principle is that when you eat a stack of carbs, your body uses those carbs for energy and stores the fat you eat…. where does it store it? Around your waist! The ‘beer belly’, the ‘big gut’ – that’s where the fat is stored. 49. To get rid of that fat, stop eating carbohydrates. Eat more good fat in your diet, so the body uses the fat for energy. 50. Almost all food contains some carbs, so that’s why this lifestyle is LOW CARB, because you cannot get away from eating some carbs. 51. When it comes to oils, watch what you buy. Olive oil, avocado oil and coconut oil are the ones you want. 52. Sunflower oil is out! 53. Fry food using butter. Olive oil undergoes an unhealthy change when heated beyond a certain temperature. Dump margarine altogether. Butter is better. 54. There are enough foods in the LCHF/Banting shopping basket to keep you satisfied. One of the great things about LCHF is you don’t go hungry. The onus is on you to do the research. 55. When you pick something up in the supermarket that is packaged, read the label to see how much carbohydrate it contains per 100g. You’re aiming for food stuff that contains less than 7g/100g. The less the better. 56. The average person is aiming for about 50g of carbs per day. If you are diabetic, maybe even less. 57. If you find you have reduced carbs to 50g per day and you are sluggish and lacking energy, clearly you need more! On the converse, if you find you are eating 50g carbs per day and not losing weight, clearly you need less. What works for others, may not work for you. 58. Eating the Banting way is essential for diabetics and that’s been proven by a Swedish study. Another study says that eating low carb diet is best for treating both type 1 and type 2 diabetics. 59. Artificial sweetner is no encouraged in this lifestyle. It is believed that non-caloric sweeteners still contribute to increasing hunger and result in a continued craving for sweet food. 60. What is surprising is that the pancreas starts secreting insulin at the anticipation of sugar arriving, so when no sugar comes, the blood sugar level drops and hunger pangs begin. 61. Beer promotes fat storage as it contains more than alcohol. It also have fast digesting carbs, resulting in a rush of insulin and a rise in blood sugar level. It promotes fat storage around the belly – hence the term ‘beer bop’. 62. Red or dry white wine does not have the same effect as beer because they contain less sugar and carbohydrate. Be careful though, too much alcohol will slow weight loss. 63. Babies should not be raised on carbohydrates. The development of their brain requires fat and protein. 64. When starting a baby on solids, avoid baby cereals and baby food that is laden with sugar. Rather process your own vegetables and meat and feed them that. 65. Children who are obese at a young age are most likely already carbohydrate resistant and will benefit from changing to Low Carb lifestyle. 66. A great breakfast for school going children is bacon and eggs with sausage and and perhaps even some of the previous night’s protein. That will be sure to see them through to lunchtime. 67. The reason why children get fat is not because they have occasional sweet snacks for a treat over their birthday or Christmas, but rather that we are filling their lunchboxes with sugary treats, which falsely suggest they useful for energy. 68. Lunchbox treats for children could include biltong, dry wors, boiled eggs, cheese or nuts and seeds. Replace sandwiches with seed crackers. 69. Embracing a LCHF lifestyle during pregnancy is absolutely possible. In fact it is probably beneficial and may even prevent gestational diabetes and extra weight gain. 70. Ditch margarine. Use butter. Why? Butter is made from cow’s milk. The fatty part of cow’s milk is churned until it becomes butter! End of story. Margarine is made with vegetable oil, which is liquid at room temperature. To make it harder it has to be processed and this is done by ‘hydrogenation.’ Hydrogenated fat is bad for you. 71. Margarine also contains colourants, emulsifiers and other artificial ingredients. 72. Butter is high in calories and if you need to watch your calorie intake, you may prefer to use olive oil as a butter substitute. 73. It is becoming known that animal fats do not influence your cholesterol as much as previously believed. If you have a familial history of high cholesterol, you do need to watch your intake of dietary cholesterol. 74. Banting is a low carbohydrate and high fat way of eating. It is not high protein, but rather moderate protein. 75. Best foods to eat are those that grow on a tree or plant and look like what they are. 76. Try to avoid anything that it is in a box, a tin, or a packet. If it has a long shelf life, it’s probably loaded with preservatives. 77. If you want to get a good idea as to whether you are pre-diabetic ask your GP to test your HBA1c. It measures the percentage of glucose in your blood over the last 3 months. Drive for 5%. 78. Don’t be afraid of fat – the fat of grass-fed free range animals is fine to eat. 79. When choosing food, choose from free range organic variety. 80. Try not to snack. It’s easy to do when you are bored. Train yourself not to. 81. Don’t eat when you are not hungry! 82. Cut sugar out of your diet. Do not add it to tea or coffee. Drink water instead of fizzy drinks laden with either sugar or aspartane! 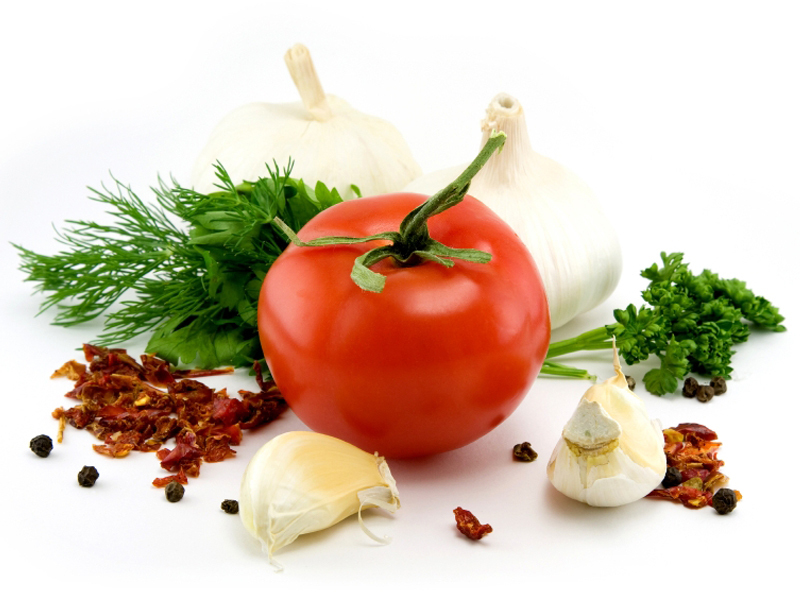 It’s amazing how your taste buds adjust – very soon you learn to appreciate the real taste of natural food. 83. Honey is sugar – avoid it. 84. We tend to eat far more than is necessary to sustain us. When you have got your appetite under control, you will discover that you can live energetically without grazing through the day. In fact, you will discover two meals a day perfectly sustainable. 85. Most people are attracted to a LCHF lifestyle because the hope it will result in weight loss, but that’s not the only reward. Cutting out sugar results in much clearer skin. Stomach ailments such as pre-ulcers have been known to clear up. Irritable Bowel Syndrome is helped by the diet and skin irritations such as eczema have also been seen to improve. 86. You don’t get hungry eating LCHF – the food is filling and the lifestyle sustainable. 87. Use full cream in tea or coffee instead of milk to cut down on the amount of sugar. 88. Bullet proof coffee usually is 1 tablespoon of unsalted butter melted with 1 tablespoon of coconut oil, whisked well and added to a cup of black coffee. Guarantee to give you a boost that will last several hours. 89. For baking, look out for almond flour or coconut flour as low carb substitutes for wheat flour. 90. Make use of cauliflower to make cauli-rice or cauli-mash to substitute for rice and mashed potato. 91. You can also use cauliflower mashed with a little almond flour to create a pizza base. 92. It’s very difficult to get your head around the idea of going through life without cake – let it be a treat from time to time and not a weekly event. 93. Dark chocolate is acceptable – the darker the better, so aim for 70% at least and none of the flavoured varieties. 94. Regular peanut butter is loaded with sugar and processed (in sunflower oil) peanuts, so it’s off the Banting list. Do look out for macadamia nut butter or you can even try and make your own by processing macadamia nuts until they are smooth and ‘spreadable’. Then at least you will know what you are eating! 95. Fruit is laden with sugar so use it sparingly. But a nice lunchtime snack, is two thin slices of apple, spread with macadamia nut butter and a piece of cheese. 96. Keep left over dinner meat for breakfast the next day. 97. Try and find a dietician who follows this lifestyle – go for at least one consultation to assess your needs. 98. Expect some opposition if you start eating this lifestyle. Not everyone believes that it is beneficial. Be patient and find common ground that everyone can enjoy such as Greek salads, vegetable dishes, fish, ostrich meat and meals using avocados, olives and feta cheese. 99. 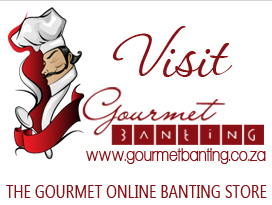 Do as much research as you can online to find recipes and new exciting creative Banting meals. 101. LCHF/ Banting eating is individual to each and every person who tries it. Each of us are unique. There is balance to be had in embracing this eating plan. You are responsible for finding it.